New statistics, taken from a manufacturing industry survey by leading audit, tax and consulting firm RSM, show UK manufacturers need to invest in key business systems to compete with EU and international counterparts. According to the results in RSM’s UK Manufacturing Monitor, over half of manufacturers (53 per cent) plan to update key business systems within the next five years, with the majority looking to invest within the next three years. Ensuring technology is fit for purpose, using technology to improve decision making and integrating technology are cited as the biggest digital challenges – highlighting the imminent need for investment. Incorporating new technology into the industry would enable it to become more efficient, modern and competitive. 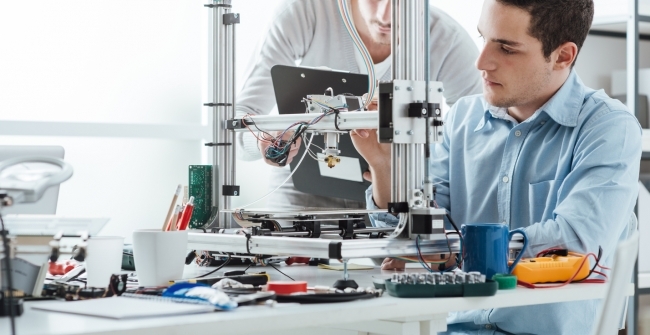 Despite this focus, as little as eleven per cent of UK manufacturers currently have sufficient innovation processes in place to assist them with future growth. Without adequate organisational structures in place that deliver operational efficiencies, UK manufacturers could lag behind international competition following Brexit. In particular, the sector could see increased competition from the low-cost, high quality East Asian products which the UK has been safeguarded from as part of the EU. Furthermore, Trump’s call for US trade protectionism could lead to new risks, demonstrating a greater need to innovate in order to survive. Commenting on these findings, Mike Thornton, head of manufacturing at RSM, said: ‘As many UK manufacturers prepare for a potential surge in competition and uncertain trading conditions, harnessing technology could be the answer to future success. Technology will play an important role to help the sector become more efficient, productive and, in turn, more competitive, but this requires significant investment into the right software, equipment and talent to drive change.